Place wantons in boiling anchovy stock. When wantons are almost cooked, add the baby choy sum and cook for another 1-2 mins. Transfer to serving bowls and serve with noodles. In a serving plate, add the sauce ingredients and noodles, toss and mix well. 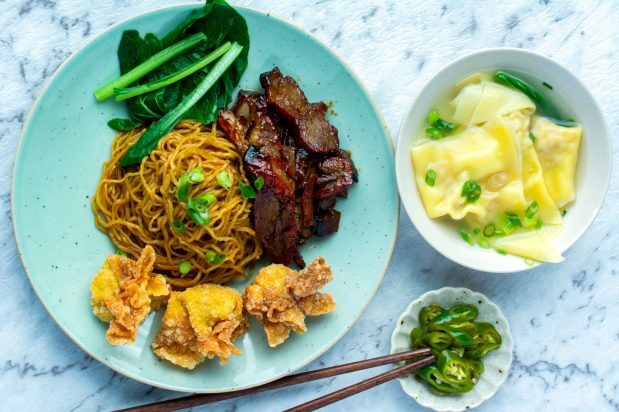 Place some choy sum, char siu and deep-fried wantons (optional) around the noodles, garnish with spring onions. Serve with wanton soup and sliced green chilli.